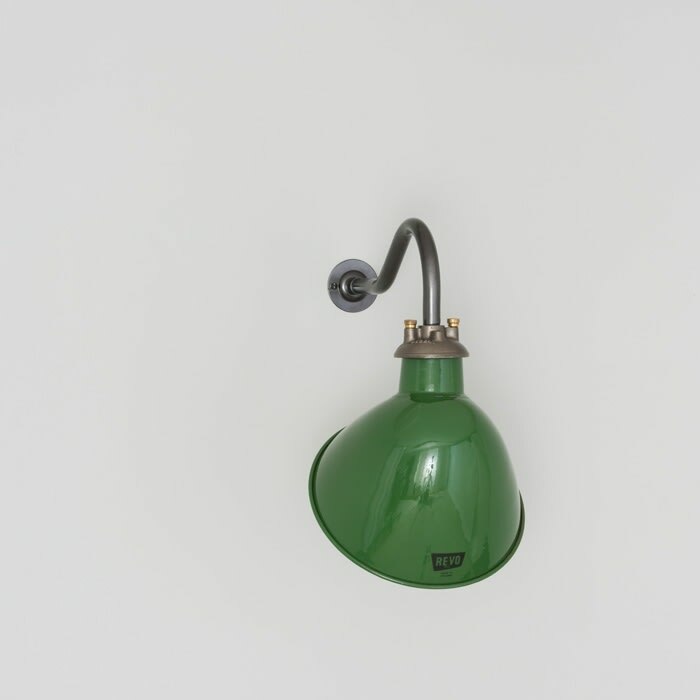 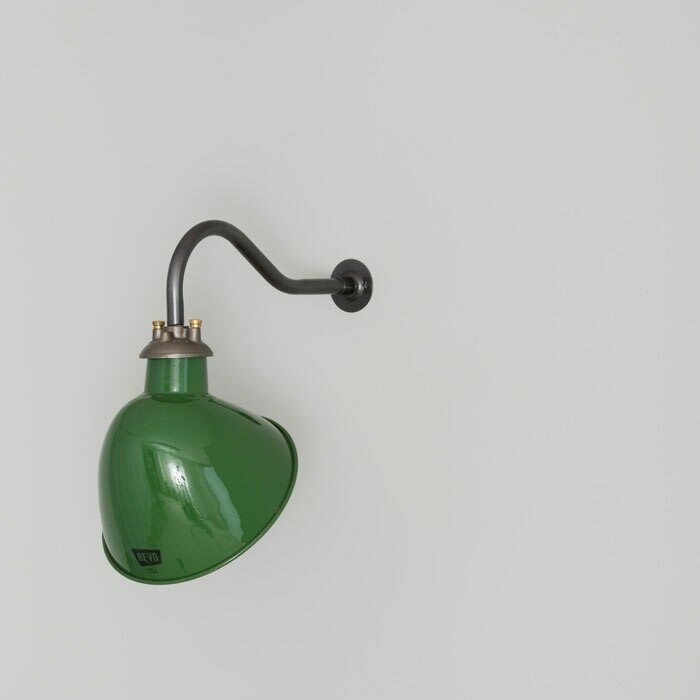 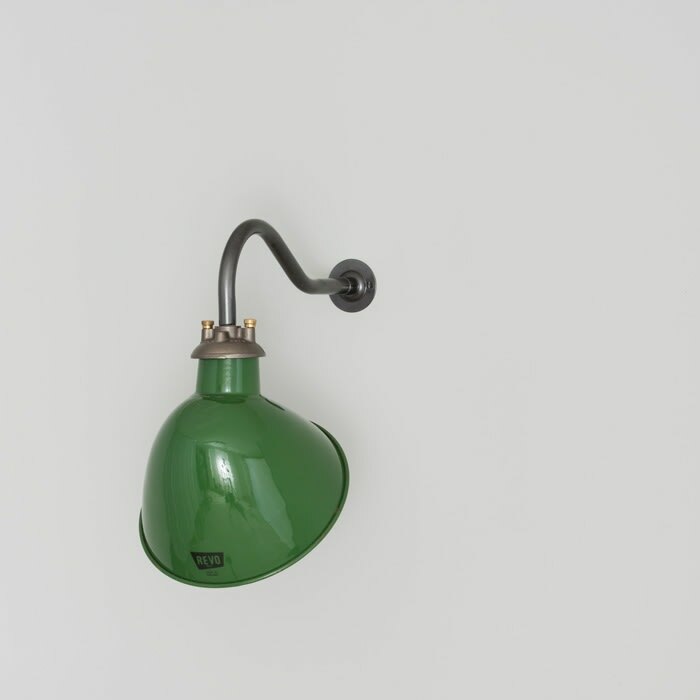 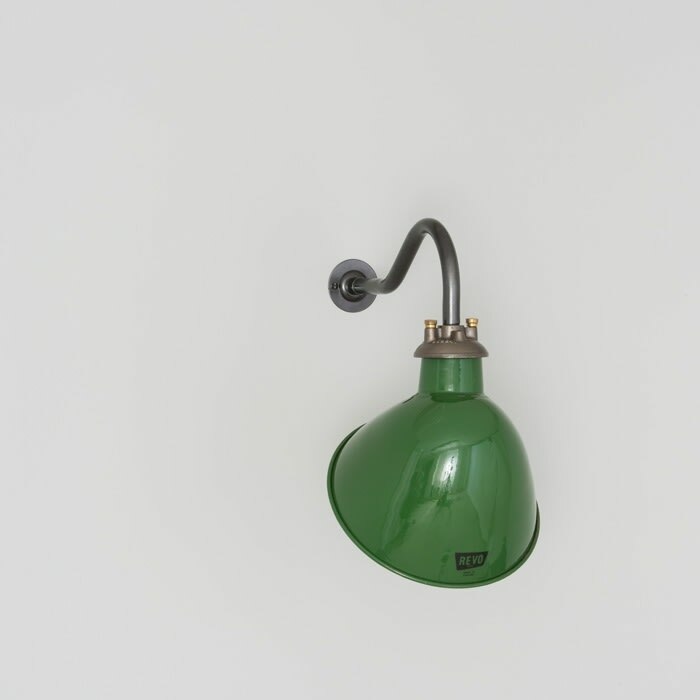 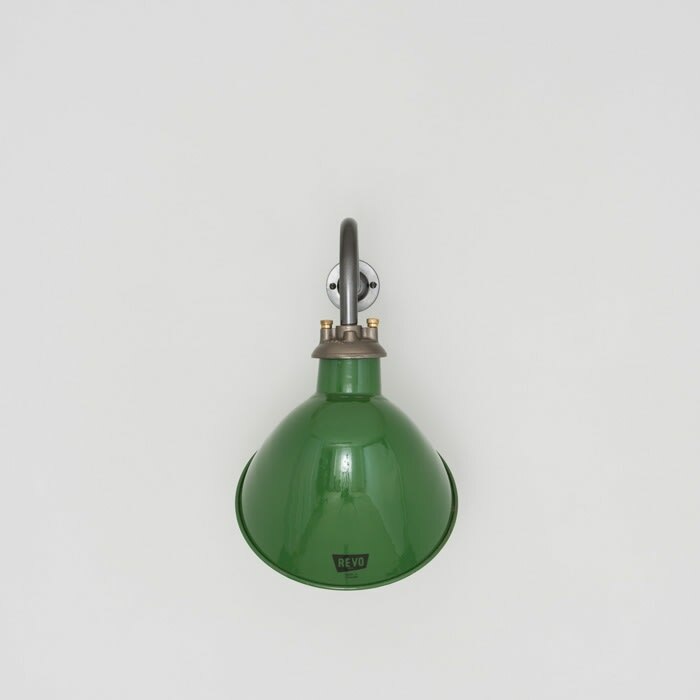 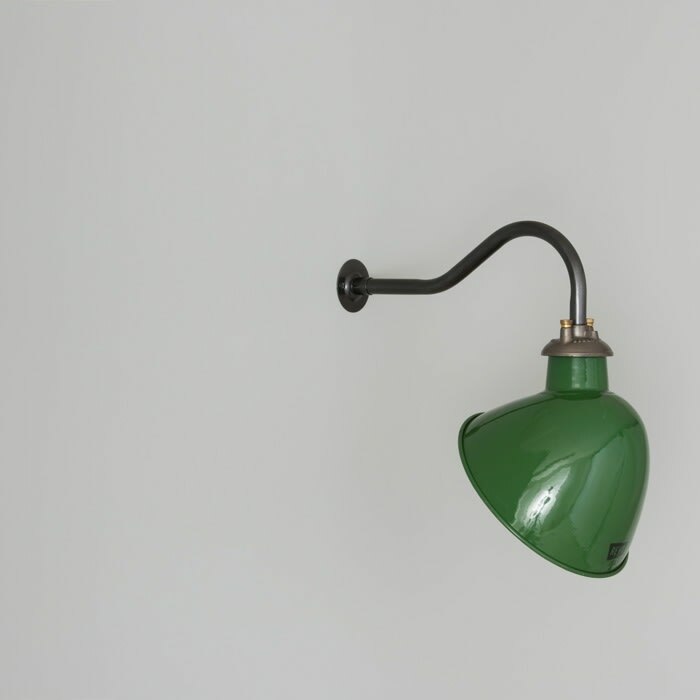 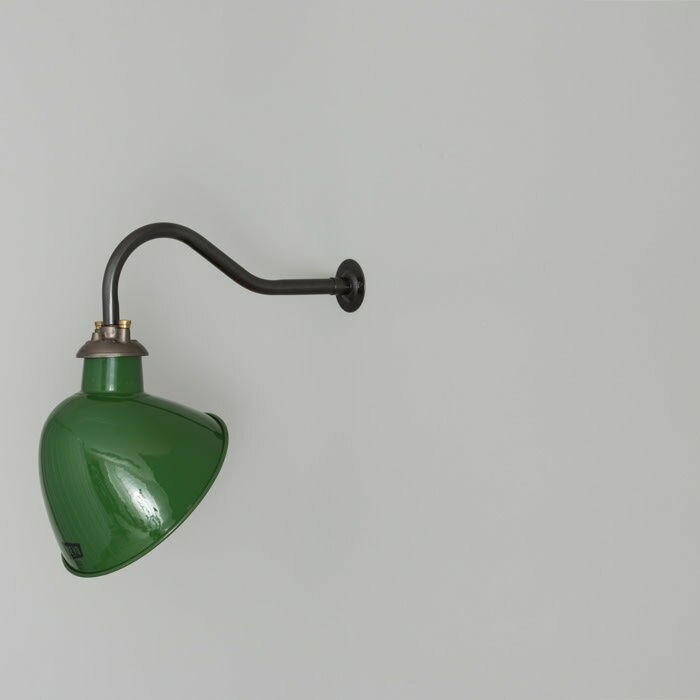 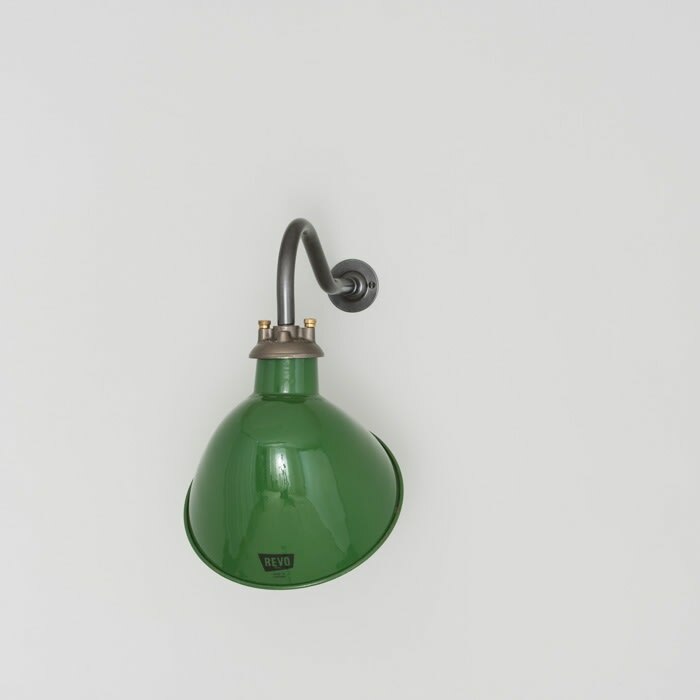 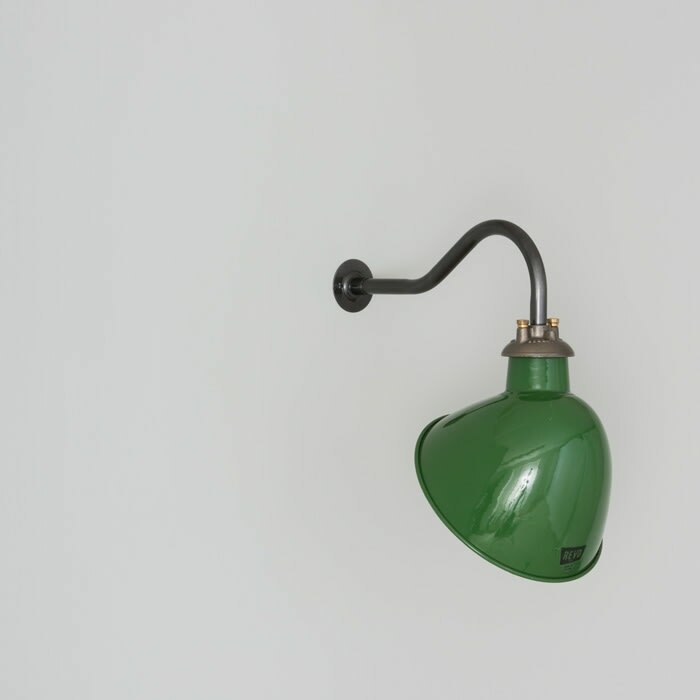 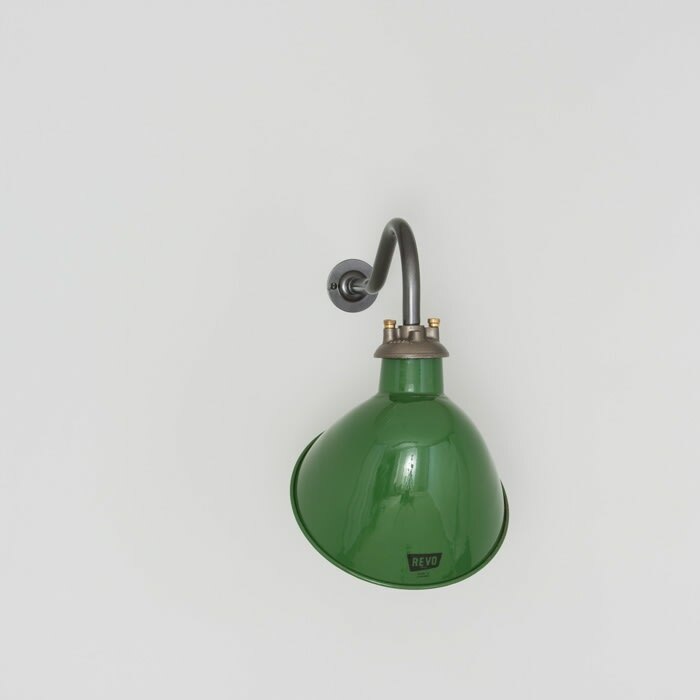 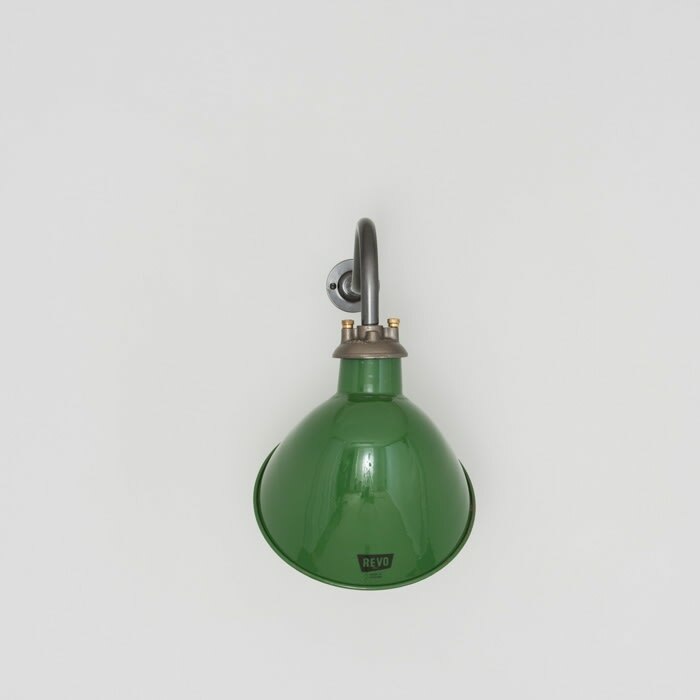 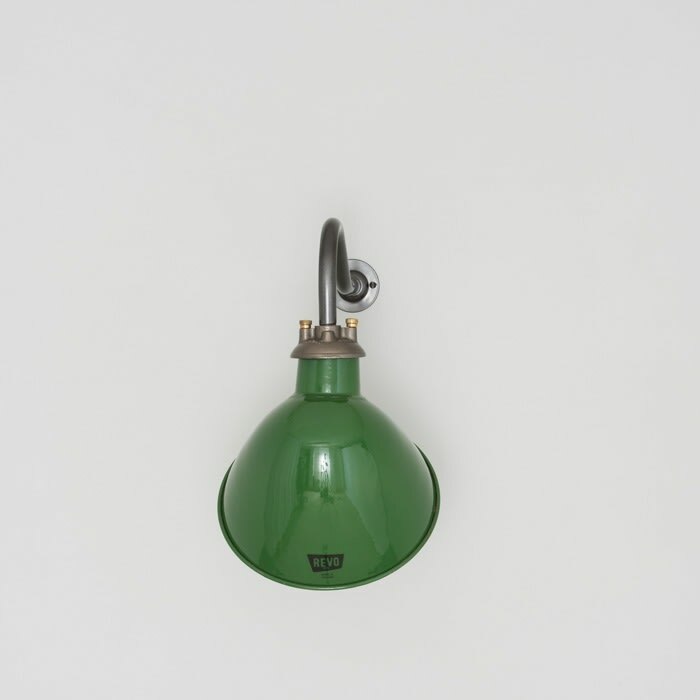 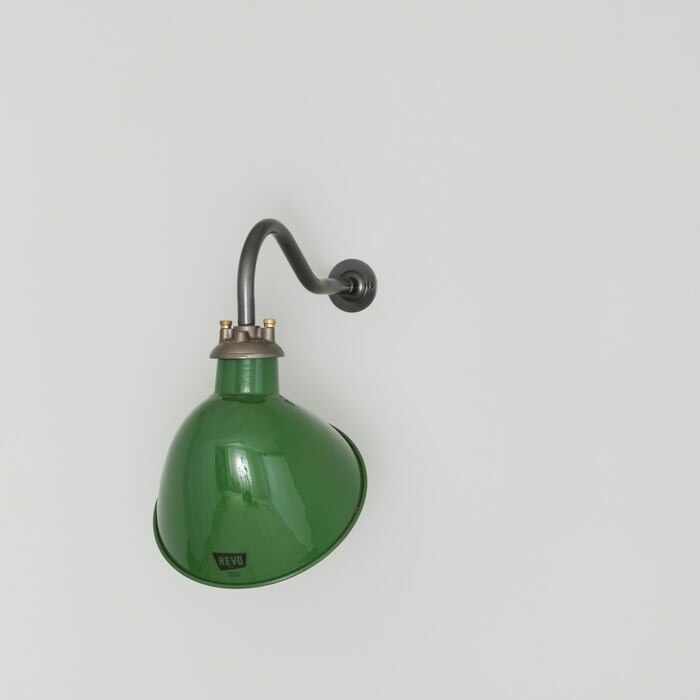 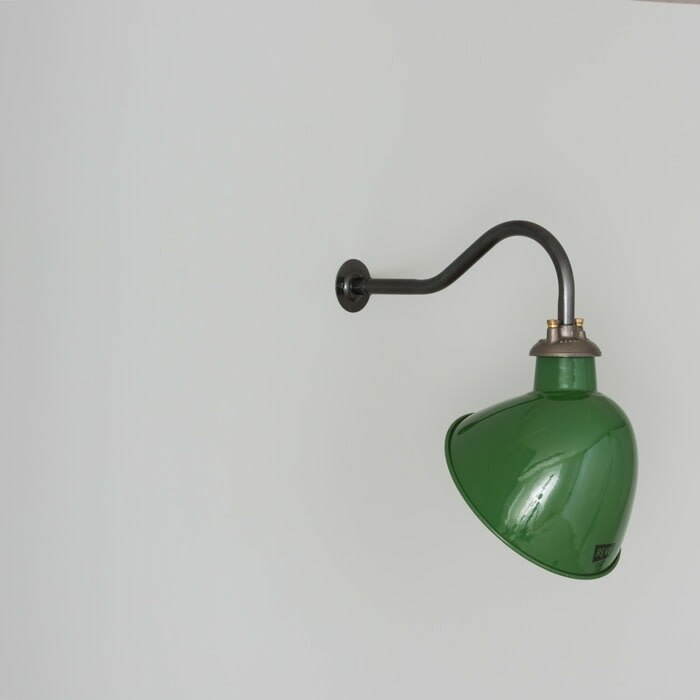 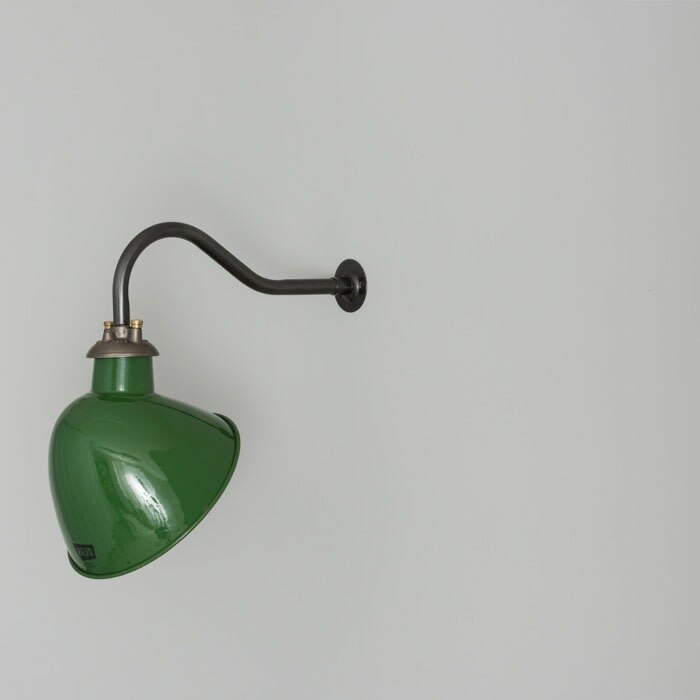 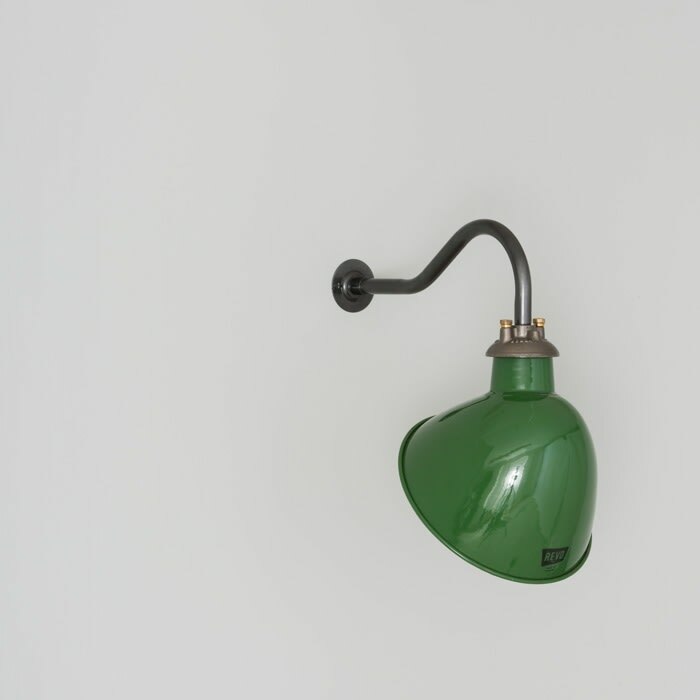 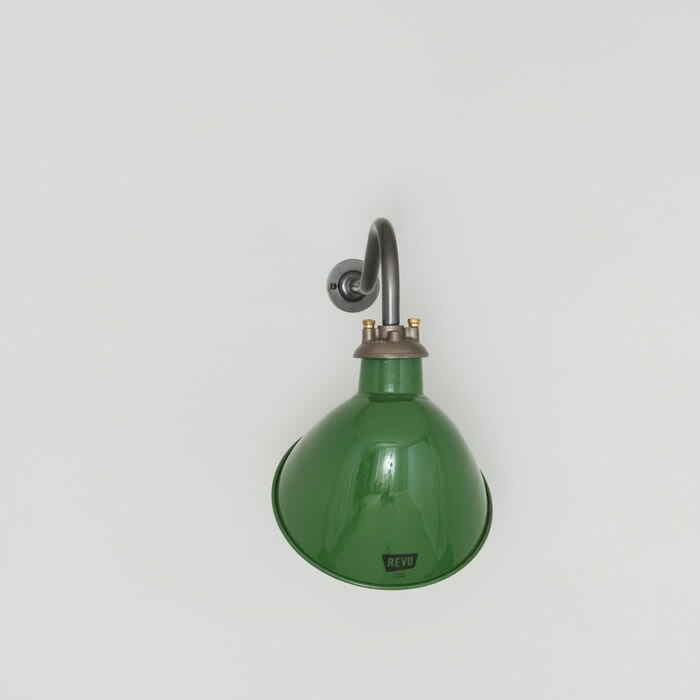 A large fun of industrial wall lights by 'REVO' the British lighting manufacturing powerhouse of the 1920s to 1960s. 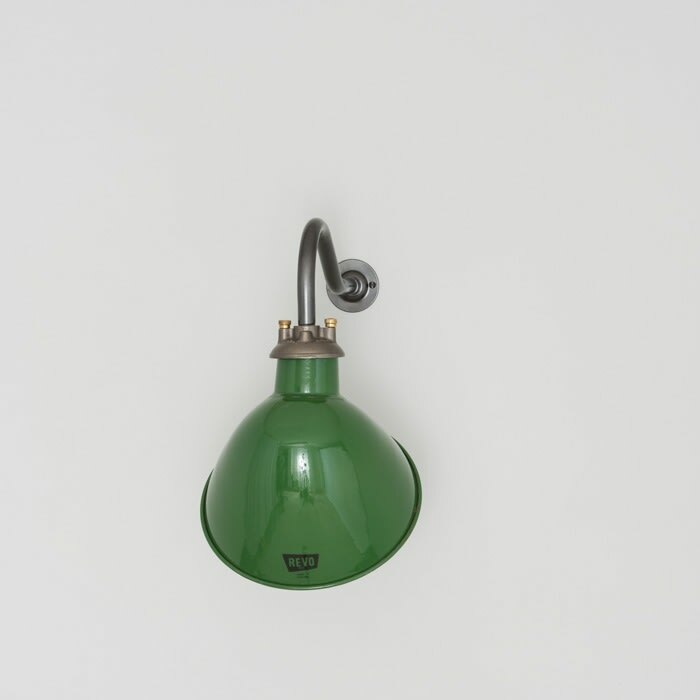 Angled vitreous enamelled shades with a brushed and lacquered steel gallery. Over the years, we’ve restored thousands of lights that would otherwise have become scrap. 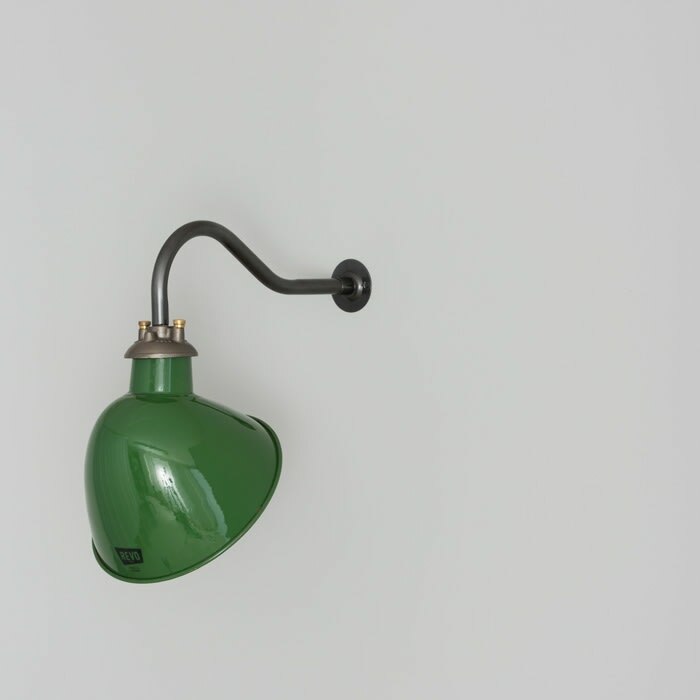 But we don’t only piece together the light’s components. 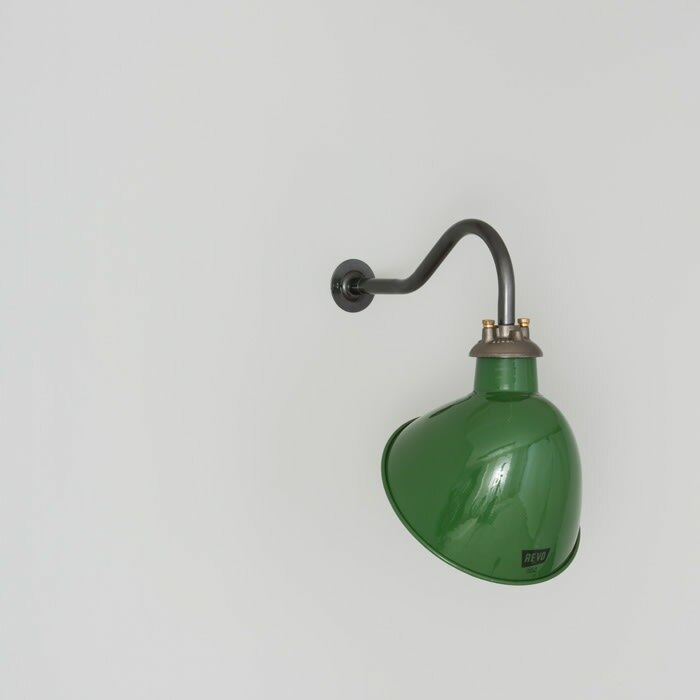 We take the time to investigate its history, studying old catalogues for clues and assembling the whole story. The lights feature an embossed manufacturers logo on the shade and cast detailing on the steel galleries. 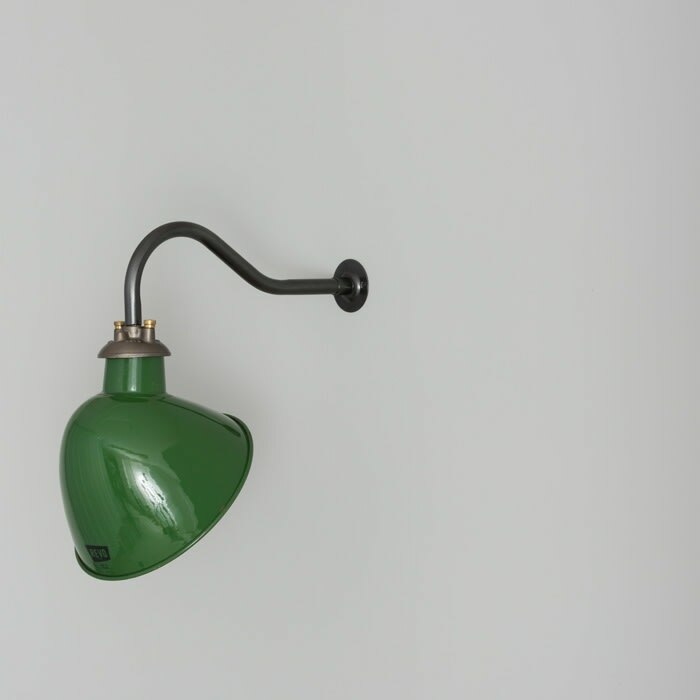 Mounted to a swan neck wall bracket, these lights are ideal for lighting signage or for focus on a wall.